We will beat any competitor’s price on same quality shutters. 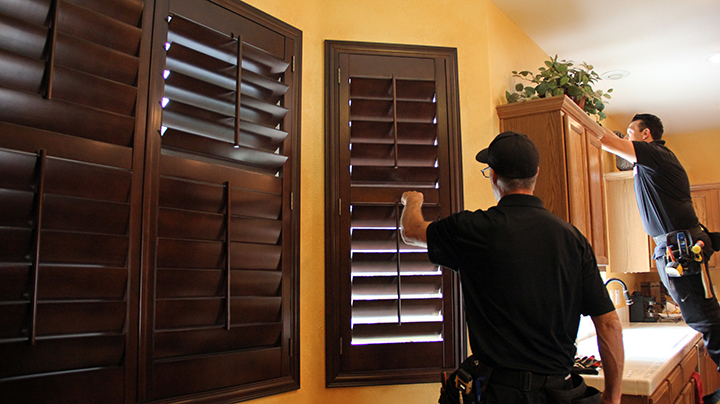 Onyx Vegas sells and installs custom plantation shutters, shades and blinds. We are the premier custom shutters company in Las Vegas. Family owned and operated for three generations, we have been a full service window coverings specialist serving the wholesale and retail markets since 1970. The Onyx Las Vegas advantage is clear, with our Onyx Basswood Panels we have the ability to provide 40" panels for a cleaner and more open shutters look, while our competition are limited to 28" panels. Our shutters come with the features of astragals, mortised hinges, mitered frame joints and hidden recessed magnets. In stock shutters can be installed in as little as 3-5 days. Contact us through text, phone or even book an appointment directly on our website to arrange a completely free consultation and estimate on the cost of installing shutters in your Las Vegas home. Naturally, the cost of shutters is going to depend on how many windows you have, the sizes, the types of shutters and frames you want and a variety of other factors. We will provide you with samples of frames and woods, measure the windows or doors (yes we can put plantation shutters on doors) and provide you with a total cost for the job including manufacture of the shutters and installation. Custom shutters will generally take a few weeks to build and install, while stock shutters can be installed in as little as three days. 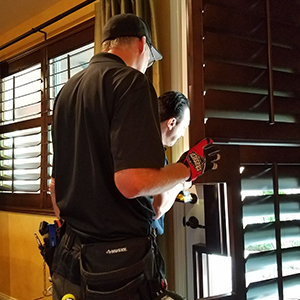 Contact us today to find out why we have been the choice of so many shutters resellers and shutters installers in Las Vegas over the years, and how you can now benefit by going direct to the source. Finally found an honest company who will provide a great product for a great price. Any of my friends who are looking for custom shutters in Las Vegas, I highly recommend them. 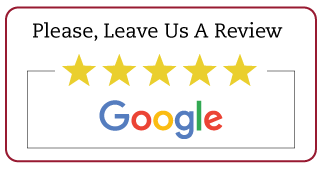 We appreciate your business and your recommendation! If you want your home to look good, install shutters. 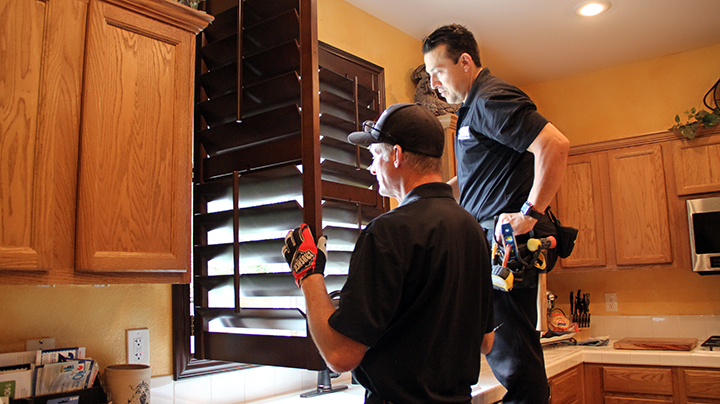 If you want your home to look great, have these guys install your shutters. They actually showed me the process that they use that makes them better than everyone else, using screws instead of nails and joining all the seams of the frames with screws. The products are beautiful, and when the installers are willing to take the extra time to make sure it is perfect, you are going to see the difference between these and cheap shutters. Absolutely the best shutter company in Las Vegas. Great products, fair prices and awesome attention to detail.